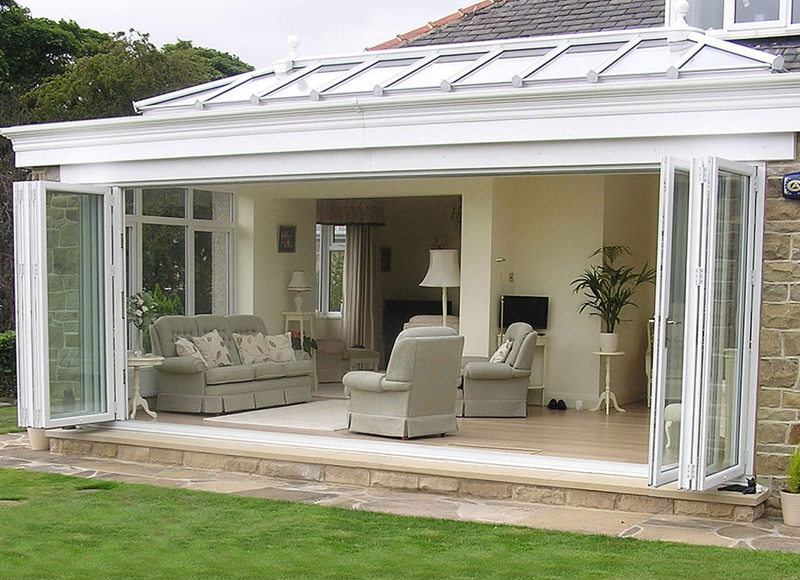 If you’re looking for something more substantial than a conservatory, yet brighter and more airy than a normal extension, a bespoke orangery could be just what you’re looking for. 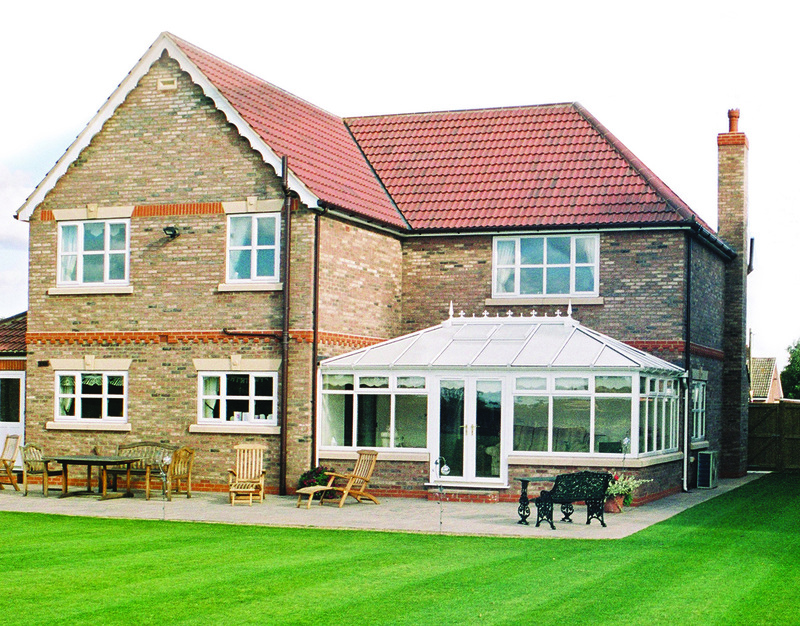 Our orangeries come in a variety of designs and sizes. 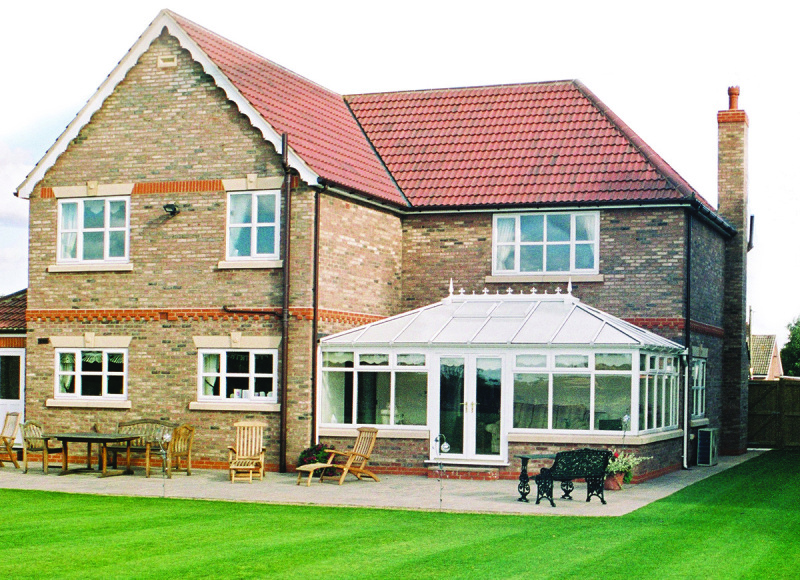 Generally they feature more brickwork than a conservatory to ensure they are more in keeping with your home. 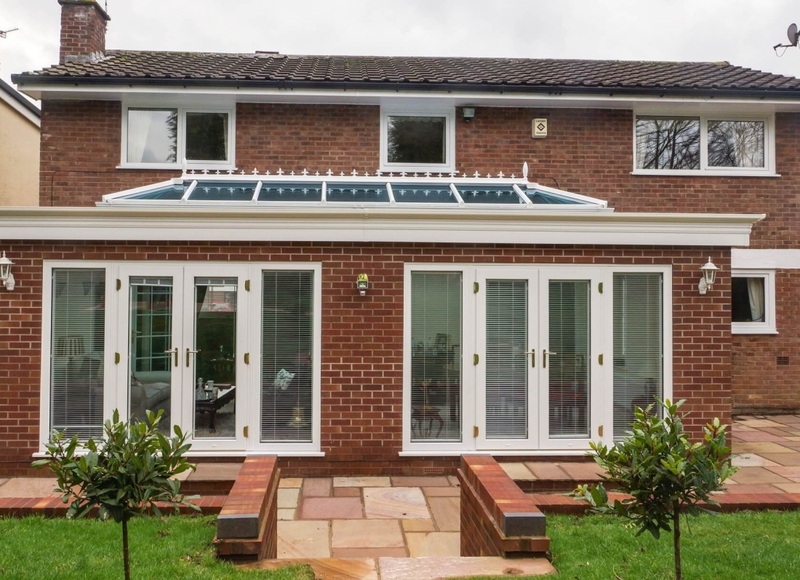 Many designs use brick pillars to create individual windows whilst other have bi-fold doors to create fully opening glass walls. 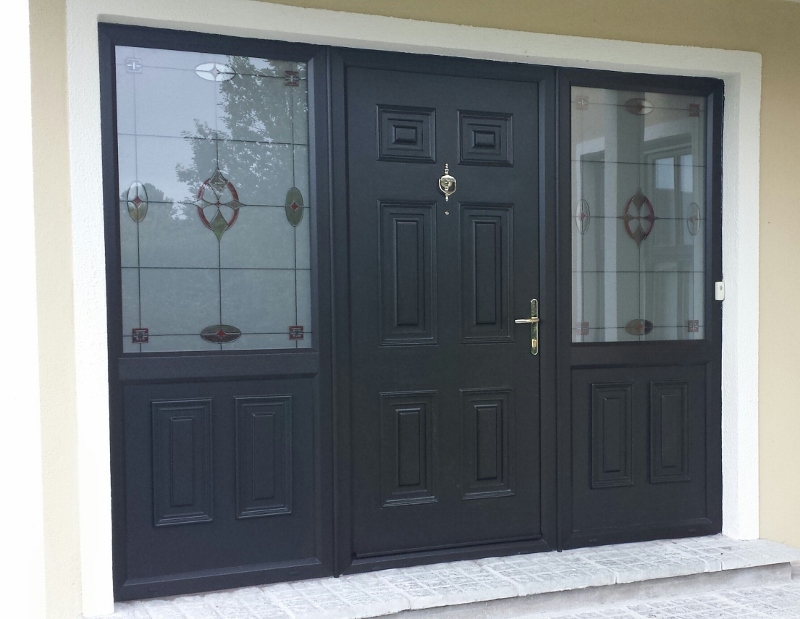 The origin doors also allow for a fully opening corner, to open the room up to the garden, for those warmer days. This is on view at our showroom. 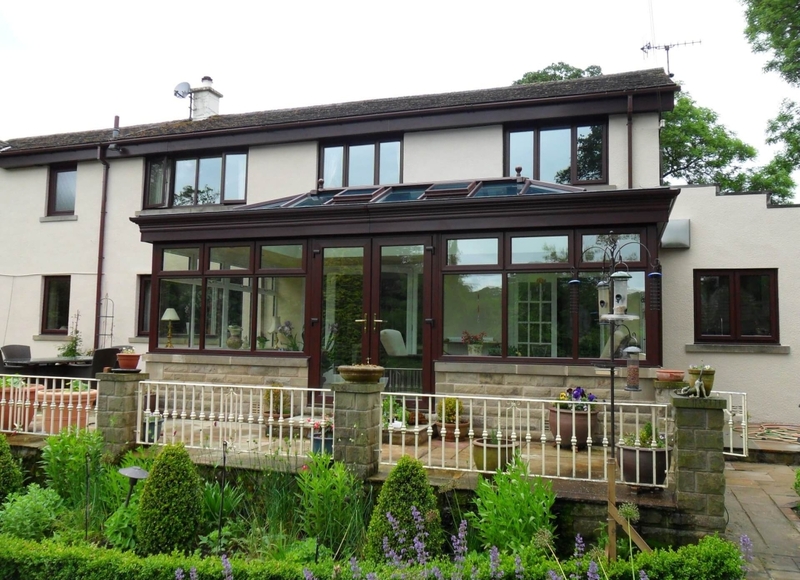 All building work is carried out in line with current building regulations and we use our latest “A” rated windows to ensure your conservatory is as energy efficient as possible. 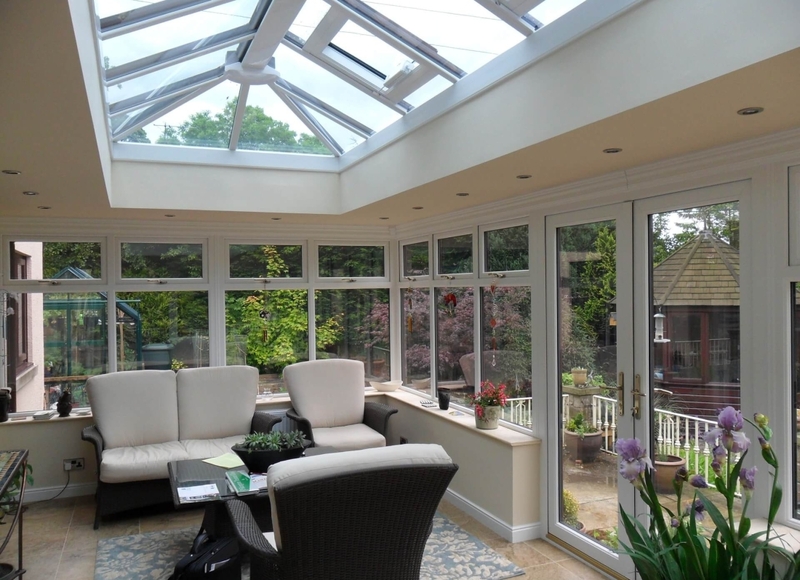 For the roof you have an atrium with Self cleaning glass for minimum maintenance and argon gas fill with Planitherm Total+ glass for maximum heat insulation. 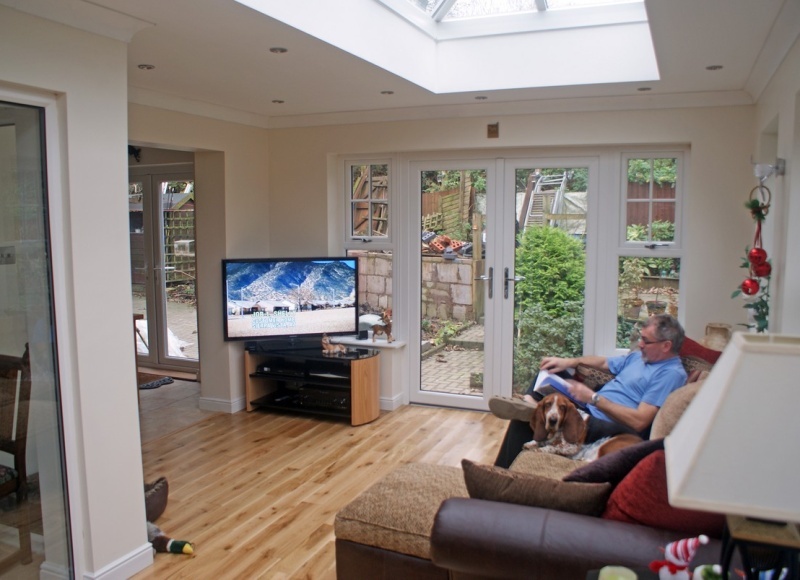 The solid roof section has plastered reveals with the option of LED spotlights. The latest design at our showroom also incorporates an overhanging roof with external lighting and high level lantern windows. 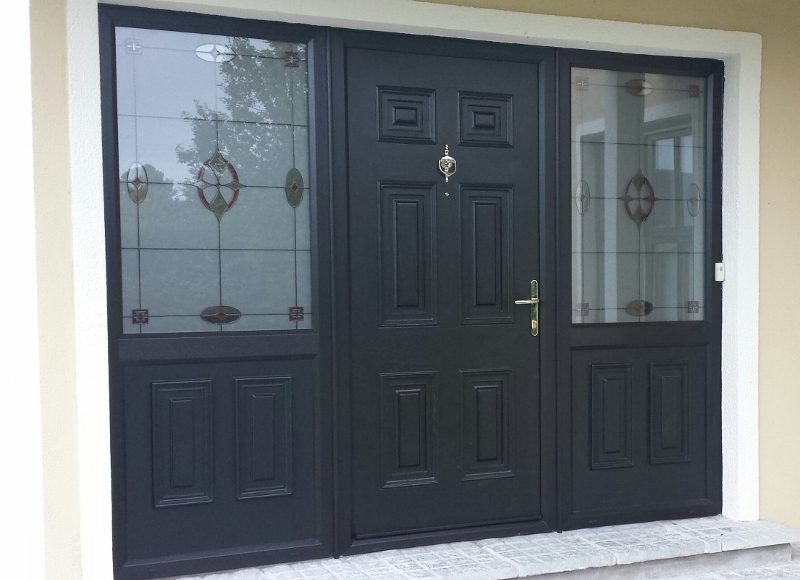 A full range of colours are available including white, golden oak, rosewood, anthracite grey and black to name only a few. Several handle options including white, gold, chrome, silver and black are available as well as special detailing such as the Decstone window and skirting boards. 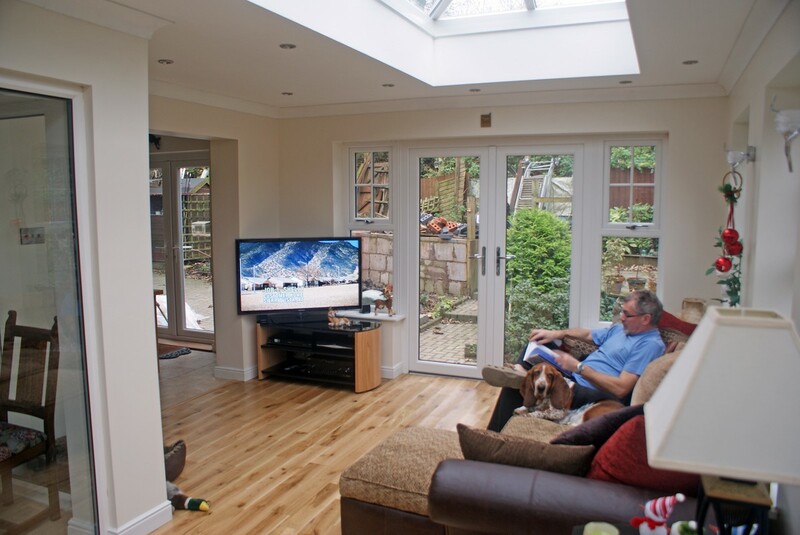 We have all the finishing touches that you may require including plastering, heating, electrics, lighting, Perfect Fit blinds and tiled floors.